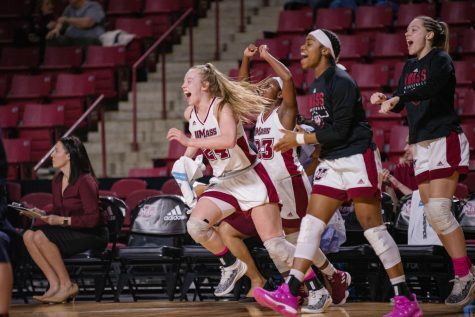 Kristina Danella’s 14 points and nine rebounds were not enough as the Massachusetts women’s basketball team fell 63-57 to host Miami in the championship round of the Wyndham Miami Thanksgiving Tournament on Sunday night. 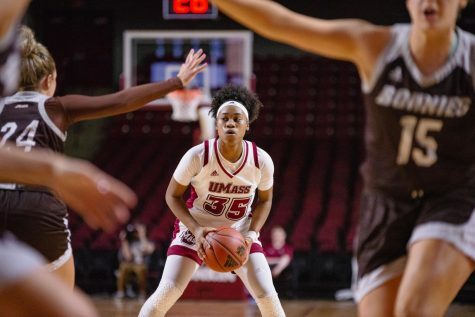 Danella, who compiled 35 points and 14 rebounds in UMass’ two games over the weekend, earned all-tournament team honors along with fellow sophomore Nicole Jones. 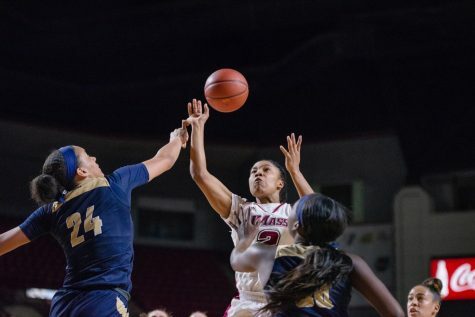 The forward finished the weekend with 24 points and 11 rebounds in UMass’ 71-57 win over Rice on Saturday and loss to the Hurricanes (6-0) on Sunday night. In the second round, the Minutewomen (4-3) had trouble matching up with Miami guards Shenise Johnson and Riquna Williams. 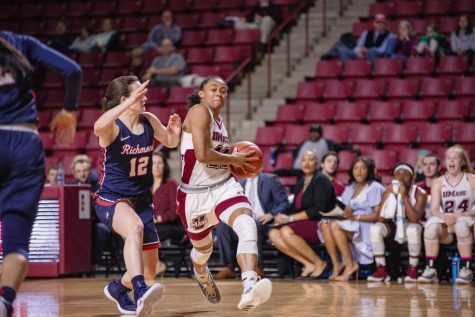 Johnson, a former high school McDonald’s All-American, had 15 points, six rebounds and four assists to go along with fellow sophomore Williams’ 17 points, five rebounds and five assists. 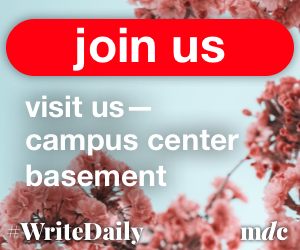 The Minutewomen contained the scoring duo, but Miami freshman Stefanie Yderstrom picked up the slack offensively by making her first appearance in her young collegiate career. Yderstrom made 3-of-5 shots from beyond the arc, and finished with 11 points in the game. 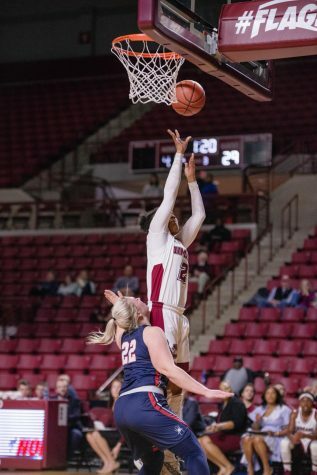 UMass trailed 24-23 at the half and was in the game thanks to the rebounding of Danella and the rest of the squad. Danella had seven rebounds in the first half alone to give UMass a 23-19 advantage in that category. However, in the second half the Minutewomen were outrebounded, 26-17, as Diane Barnes finished the game with 11 rebounds for the Hurricanes. 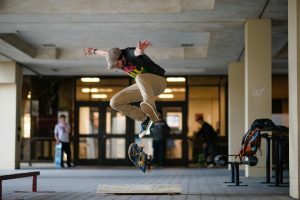 “Our work is still on the boards and that’s a work in progress, but I think all in all…we played pretty well and we put ourselves in a position to win,” Dacko said. 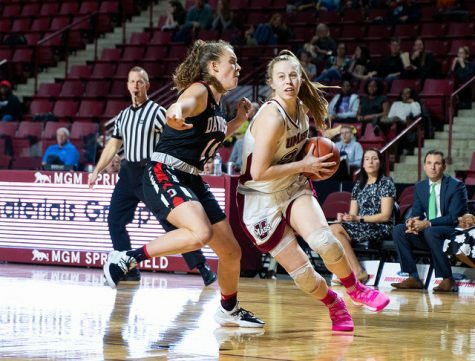 With three minutes, 19 seconds remaining in the game, UMass’ Jones stepped to the foul line and hit the first free throw in a one-and-one situation. UMass trailed by one point and never regained the lead as Miami took over. The Minutewomen also missed timely lay-ups late in the game and fell victim to the Miami defense in the second half. Miami finished the game with 11 fast break points while UMass did not have any in the contest. UMass’ victory over Rice was a different story. While Danella again led the Minutewomen, the team won by playing good defense against Rice’s D’Frantz Smart and Jackie Stanley. 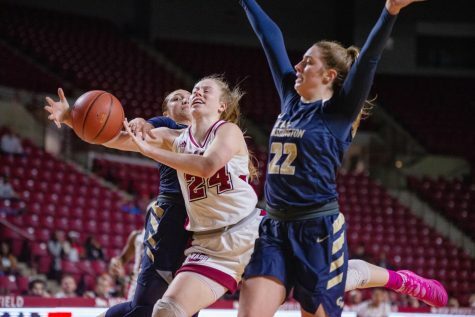 Stanley, the Owls’ leading scorer coming into the game, struggled to eight points in the game thanks to staunch defense from the UMass forwards. Smart was also limited by the defense as Dacko imposed a tight pick-and-roll defense. On offense Danella had 21 points to go along with seven rebounds, and junior Megan Zullo added 10 points in the win. Zullo, a transfer from North Carolina State, went 2-of-5 from 3-point range while coming off of the bench for UMass. 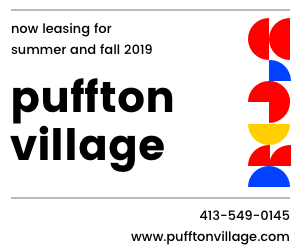 Zullo is now shooting 38 percent from beyond the arc, and looks to add her skills to the shooting talents of Danella, Kim Benton and Cerie Mosgrove. 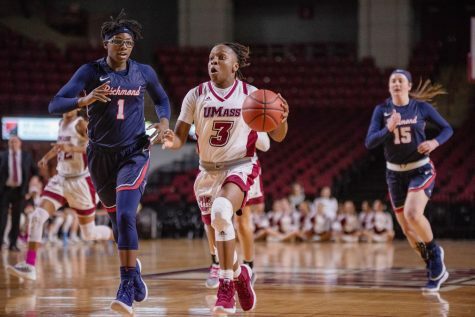 UMass had a 13-point lead at halftime, but the Owls chipped into the margin until a few minutes left in the game. 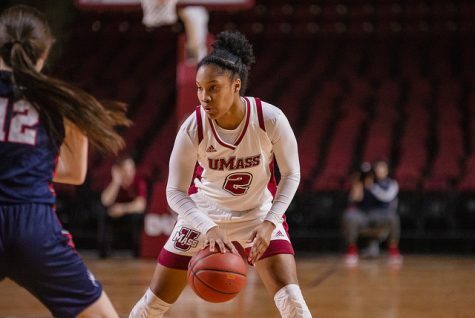 With 2:07 left in the game, and the Minutewomen lead at eight points, Rice coach Greg Williams decided to intentionally foul UMass in attempt to cut the lead. 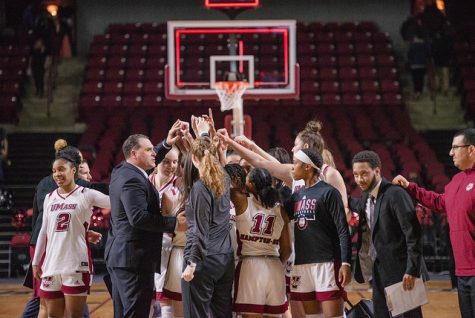 UMass’ Kristina Danella and Kim Benton iced the game with free throws to counter Williams’ strategy, and eventually pushed the UMass lead to 14 points to end the game. On Wednesday, the Minutewomen will travel to Boston to take on Northeastern at 12 p.m.